Corgi delved into the toy business a few years ago, since releasing a range of popular toy cars and more for the purpose of children's play. Previously, you could only buy Corgi as collectable's, well to fragile for play and way to expensive, for risk of breaking. 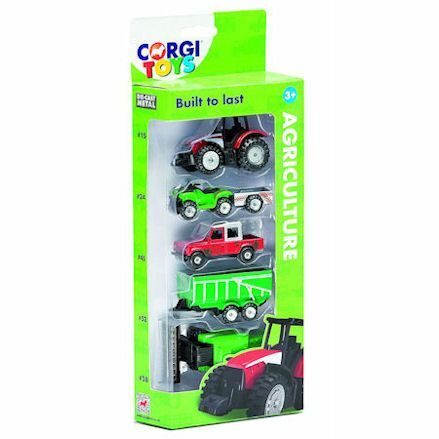 But among this new toy selection, comes a small range of Corgi farm toys, including tractors, combines, trailers and a small road mat. As with all Corgi toys, you can expect the replica detail and built quality to be exceptional still, but designed purely for the joy of kids play. Your options are based on industries which include agriculture, emergency, military and construction vehicles. So what are you options when it comes to Corgi farm toys, take a look below as we highlight corgi toys currently available in 2017. Probably all you need to get a small farm up and running in know time. 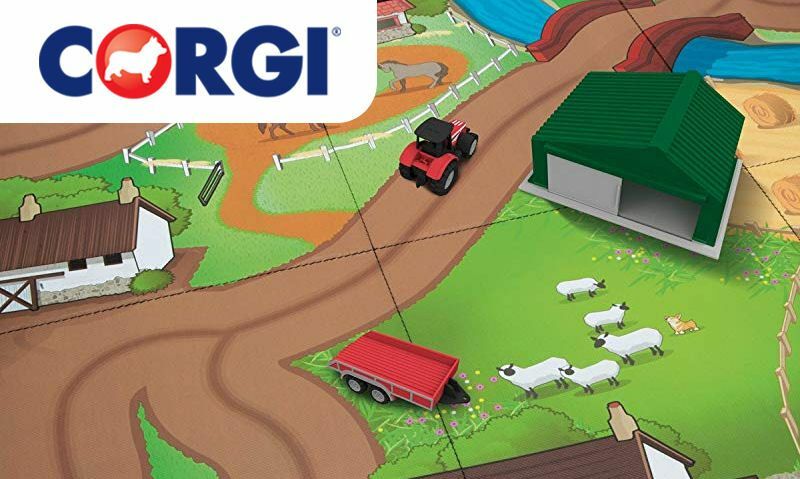 Well a made from die-cast metal, a Corgi tractor and trailer is included with a farm mat setting for driving around your farm, with a big green barn for keeping your stock. 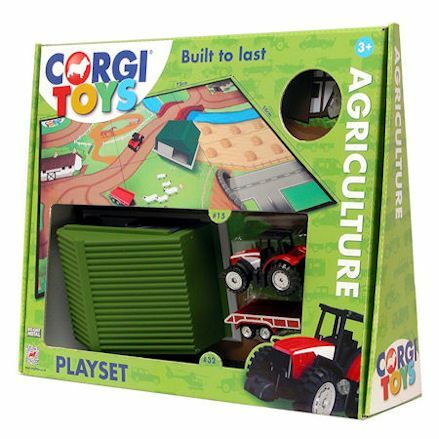 The farm playmat can be used with the vehicles and implements included in this, as well has additional Corgie vehicles available. And well they include everything you need to get setup out of the box, you can also use similar size farm vehicles to add to the mat. Well this set is based on approximately 1:72 scale, you could match these Corgi farm vehicles up with Siku Super Series - both providing a similar style. Within this set you'll receive an assorted vehicles including a tractor, quad bike, combine, car and trailer. And there you have it, well Corgi don't have a great range of farm vehicles and accessories at this time, they are bound to expand sometime in the near future. In the meantime, if these options are not enough for you, why not shake things up a little and select a few set from across all themes to keep play fresh.